Targeting trade visitors from Turkey, Eastern Europe, Asia and North Africa Automechanika Istanbul Turkey’s Leading International Trade Fair for the Automotive Service Industry opens its doors on April 07– 10, 2016, in Istanbul. Turkey’s leading international trade fair for the automotive service industry Automechanika Istanbul celebrates the 10th edition. The region’s most comprehensive event for the automotive industry will open its doors from 07th to 10th of April, 2016, at the TUYAP Fair, Convention and Congress Center in Istanbul. Since 2001, Turkey’s leading trade fair for the automotive industry is organized by Messe Frankfurt Istanbul and Hannover Fairs Turkey at TUYAP Fair, Convention and Congress Center. 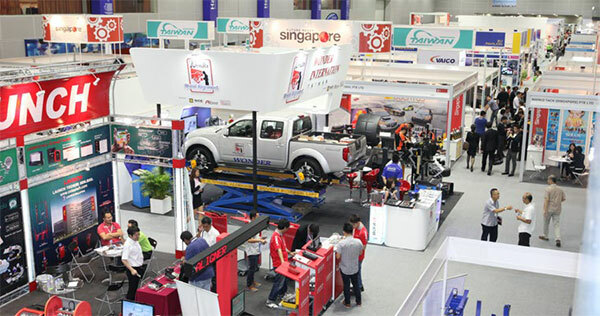 As a result of the increasing demand and interest from the sector, Automechanika Istanbul which used to be held every two years since 2001, began to be held annually from 2013 on. At every edition Automechanika Istanbul has broken its own records and became more and more successful throughout the 10 editions. Last year, Automechanika Istanbul realized an increase of hall numbers from 12 to 14 and hosted 1,667 exhibitors. 843 international exhibitors from 40 countries had the chance to meet the professionals of the sector covering a total of 40.631 sqm net area. “Automechanika is organized in 14 other countries around the world and Automechanika Istanbul consolidates its position as the third biggest Automechanika fair following Frankfurt and Shanghai. Our goal is to raise this level in the 10th edition of event that we will host the sector professionals this year.” explains Tayfun Yardım, Managing Director of Messe Frankfurt Istanbul, the co-organizer of the fair. Six product groups which are parts & components, electronics & systems, accessories & customizing, repair & maintenance, management & digital solutions and car wash, care & reconditioning will be exhibited in the event and growing in the special sections ( Lubricants, tire, car wash, batteries and truck competence) which were added the previous year for the first time is anticipated. “Automechanika Istanbul will continue to be the event which national and international sector professionals will meet with the innovations of their increasing and growing product groups. It will serve as an international platform for gathering manufacturers, investors and buyers. We are glad that the interested exhibitors of the fair are in the long waiting list and sales of the stands go ahead of four months than previous year,” explains Alexander Kühnel, Managing Director of Hannover Fairs Turkey, the co-organizer of the fair. Automechanika Istanbul hosts the visitors from all over the world every year with the effect of Turkey’s great location in the sector. With the support of Republic of Turkey Ministry of Economy and Automotive Industry Exporter’s Association, the exhibition which had 46.382 trade visitors from 94 countries was visited by procurement committees from Bosnia-Herzegovina, Bulgaria, Israel, Kirghizstan, Moldova, Pakistan and Tunisia last year. Automechanika Istanbul 2016 will preserve its great performance with the visitor studies and pave the way for new work agreements of exhibitors. Automechanika Istanbul is expected to meet requirements of the sector not only for Turkey but also Europe, Middle East, North Africa and CIS countries. In addition to professional visitors from all around the world, “Hosted Buyers’’ will visit the exhibition with the support of Ministry of Economy. Buyer delegations supported by Economy of Ministry are invited to Automechanika Istanbul via Commercial Attaches’ Offices within the scope of the program. The countries invited in the hosted buyer programme for this edition are: Albania, Azerbaijan, Bosnia and Herzegovina, Bulgaria, Czech Republic, Egypt, Georgia, Germany, India, Iran, Iraq, Israel, Italy, Kazakhstan, Kyrgyzstan, Macedonia, Moldova, Morocco, Pakistan, Poland, Republic of China, Romania, Serbia, Slovenia, Tajikistan, Tunisia, Turkmenistan, Ukraine and Uzbekistan. Following the same concept with all Automechanika events, products showcased at Automechanika Istanbul fall into one of these six: Parts & Components: Powertrain, Chassis, Bodywork, Standard parts, Interior, Alternative drive systems original equipment / retrofits /all-in-one solutions, Charging accessories, Regenerated, reconditioned and restored parts for passenger vehicles and utility vehicles, Industry institutions and specialist publishers. Electronics & Systems: Engine electronics, Vehicle illumination, On-board power supply system, Intelligent traffic systems (ITS) / Vehicle safety, Comfort electronics, Industry institutions and specialist publishers. Accessories & Customizing: Accessories for motor vehicles in general Technical customizing, Visual customizing, Technical customizing, Visual customizing, Infotainment, Special vehicles, equipment and retrofitting, Wheel rims, wheels, tyres, tyre pressure management systems, Car trailers and small utility vehicle trailers, spare parts and accessory parts for trailers, Industry institutions and specialist publishers. Repair & Maintenance: Workshop equipment and tools, Bodywork repair, Painting and corrosion protection, Maintenance and repair of vehicle superstructures, Towing service, accident assistance, mobile services, Disposal and recycling, Workshop and car dealer equipment, Oils and lubricants, Industry institutions and specialist publishers. Management & Digital Solutions: Workshop / car dealer / filling station design and construction, Financing, franchise concepts, Claims management and claims control, Dealer management systems, Workshop management, Vocational training and advanced training, Internet service providers and vehicle marketplaces, Promotion of trade and industry, cluster initiatives, Mobility concepts, Industry institutions and specialist publishers. Car Wash, Care & Reconditioning: Washing, Vehicle care, Vehicle reconditioning, Charging infrastructure and refuelling, Industry institutions and specialist publishers.